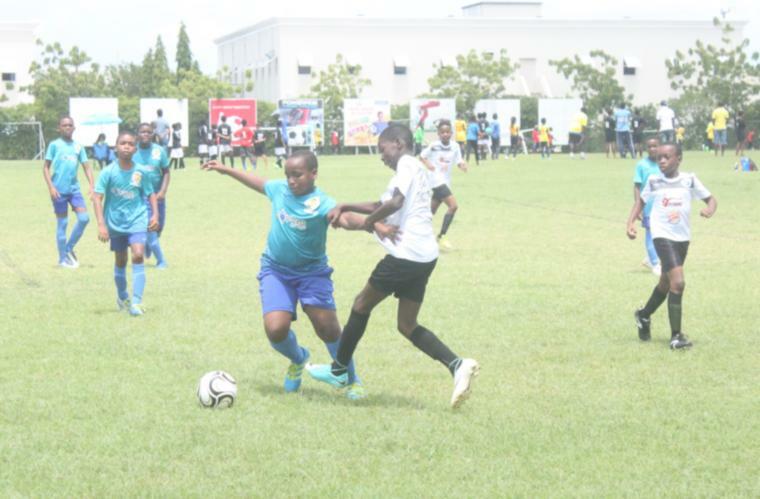 Things are getting even more interesting in the Guardian Group Youth Tournament as the competition rolls into its fifth weekend of games. With a few clubs already staking their claims in their respective divisions and zones, the race for points is set to continue this tomorrow. In the SOS Under-9, Youth Milan have a chance to get some points under their belt if they can get the better of Kick Start Sparks in one of the 8:30 AM fixtures at the Wildey Turf. An hour later, Pro Shottas will take White Hall, who have proven themselves to be one of the stronger teams this season. At 10:30 AM Barbados Youth Service will be looking to remain at the top of their zone with a fourth straight win if they can take out the second-placed Mavericks. All Star Elite have their hands full on the day as they have two games to play in the Rejuvenator Under-11. First up, they have a date with Pinelands Academy at 8:30 at the Barclays ground before they take on Youth Milan at 1:30 PM. In between there, Kick Start Kickers and Mavericks Fire cross swords at 11:30 AM. The Praesidia Under-15 is split between two venues and over at Meadow Road, Wildey Sports Academy will have their hands full with Barbados Soccer Academy at 8:30 AM, while United Stars Alliance and All Star Elite lock horns at 11:20 AM. At Parkinson Field, Zone B leaders Pinelands Academy will be looking to continue their march at the top of the standings with an at-home win over NSC Blenheim Ballers. The Barbados Soccer Academy has two teams in the IPI Under-17 and the Super Stars will take on Kick Start in the first game at Blenheim at 8:30 AM. The other BSA team, the Warriors, will be playing Mavericks at 4:00 PM at the Wildey Turf. Back at Blenheim, Wildey Sports Academy and Pinelands Academy will square off at 10:30 AM.